These proportions are lower than in LPP 2015, this is likely due to two changes in the data from 2015:1) the change from measuring pupils achieving A*-C GCSEs on English and Maths and an additional 3 GCSEs (LPP 2015) to pupils achieving A*-C GCSEs on English and Maths only 2) In 2015, to achieve the English component pupils had to achieve an A* to C in English language, and have sat an English literature exam. In 2016, pupils could achieve this with A* to C in English language or literature. DfE says the change means a higher proportion of pupils achieve the measure. 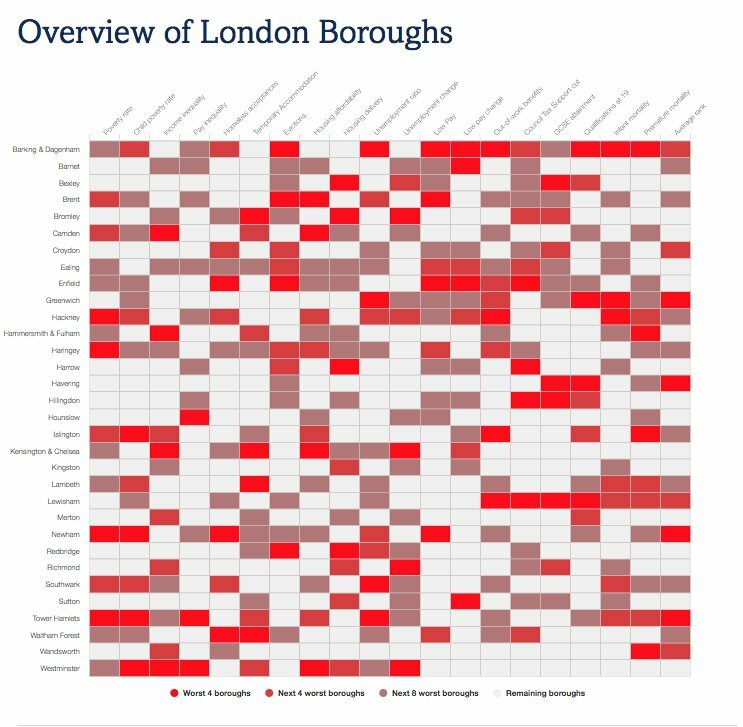 This graph shows that pupils in London of every ethnicity have better attainment than their counterparts in the rest of England, as do pupils who speak English as a second language, and pupils with Special Educational Needs (SEN). At 39%, Black pupils have the highest proportion of pupils not achieving A* – C in English and maths GCSEs in London, followed by White and Mixed (34%) ethnicities. Pupils who do not speak English as their first language have similar attainment as those who do. This is particularly important to attainment levels in London, where 40% (and 51% in Inner London) of pupils do not speak English as a first language. In the rest of England, only 10% of pupils do not speak English as a first language. In 22 London boroughs, pupils who do not speak English as a first language are more likely to achieve GCSEs than those who do. 70% of pupils with SEN in London do not achieve A* – C in English and maths GCSEs, with an attainment gap of 44 percentage points between pupils with SEN and those without. However, the attainment gap is even larger in the rest of England: 56 percentage points, with 87% of SEN students not achieving A* – C in English and maths GCSEs. 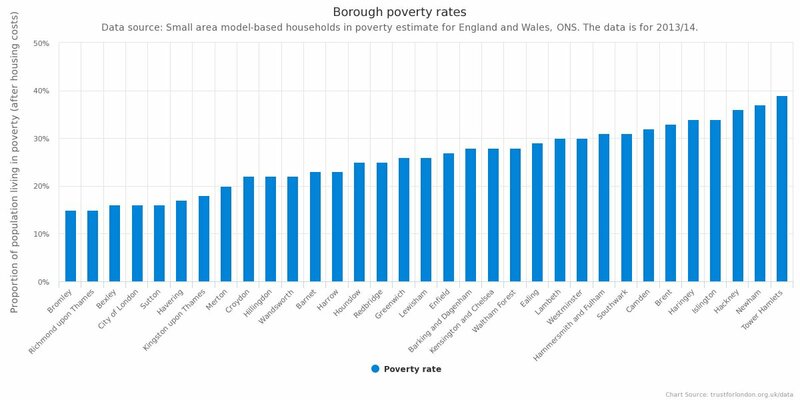 Note: These proportions are lower than in the London Poverty Profile 2015. This is probably due to two changes in the data from 2015: 1) the change from measuring pupils achieving A* – C GCSEs in English and maths and an additional three GCSEs (LPP 2015) to pupils achieving A* – C GCSEs in English and maths only; 2) in 2015, to achieve the English component pupils had to achieve an A* to C in English language, and have sat an English literature exam. In 2016, pupils could achieve this with A* to C in English language or literature. The Department for Education says the change means a higher proportion of pupils achieve the measure. * Lindsay, G. Pather, S. and Strand, S. (2006) Special educational needs and ethnicity: Issues of over- and underrepresentation. London: Department for Education.